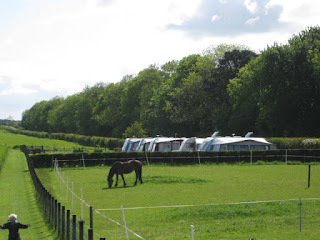 Brand Leisure in North Berwick, Edinburgh, offers wonderful caravan and motorhome accommodation in a beautiful part of the country. Situated at East Fortune Farm and only 20 miles from Edinburgh, it's the perfect base from which to explore the local area. There is garden furniture and a BBQ available, perfect for a spot of al fresco dining. 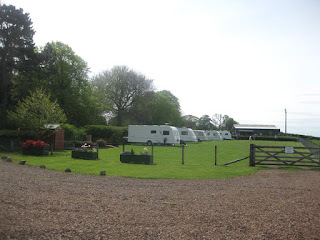 The new hard standing pitches and are now open all year for those true caravaners who like to make use of their 2nd homes twelve months of the year. We also have 16 amp electric to all pitches and a wide entrance and exit gates. East Lothian boasts a magnificent coastline of beaches, golf courses, enchanting villages, museums, galleries and historic attractions plus East Lothian also enjoys more hours of sunshine than anywhere else in Scotland which makes it a popular destination for holidays and weekend breaks. East Lothian's towns and villages are quaint and interesting. From North Berwick harbour you can take a boat trip to the Bass Rock, a gannet sanctuary, seeing the puffins and seals en route.